Snow Trails Winter Resort in Mansfield, Ohio. Dedicated to outdoor family fun with Skiing, Snowboarding, and Snow Tubing during the winter months. Over fifty years of exciting wintertime fun, memories, and action sport events! Skiing in Ohio really got its start in 1961 when Snow Trails opened its slopes to enthusiastic skiers. Mansfielder's themselves were unprepared for the throngs of visitors on the snowy weekends that followed. Cars with ski racks soon became a familiar sight on the highways around the North Central Ohio area. Many thousands of Ohioans, as well as skiers from neighboring states such as Kentucky, Indiana, and West Virginia, have come to know Mansfield as the "Ski Capital of Ohio." Before 1961, the State had several hundred skiers and even a make-shift rope tow or two operated by private individuals or ski clubs, not for the general public. Ohio winters, up to this time, were not considered favorable for commercial skiing enterprise. There were hundreds of ski areas operating in the northern states, but no one had developed one as far south as Ohio. Those interested in the sport had to travel to Canada, Michigan, Upper New York, or northern Pennsylvania to find the nearest ski hill. Snowmaking is expensive. Over a million dollars is required for the necessary equipment; a larger sized ski development requires several million dollars for snowmaking outlay alone. Special high-powered snow machines and millions of gallons of water are required to provide enough capacity to cover an average hill. The art of snow making and grooming the slopes for skiing is constantly improving and Snow Trails has historically been at the forefront in adapting to the latest and best technology. 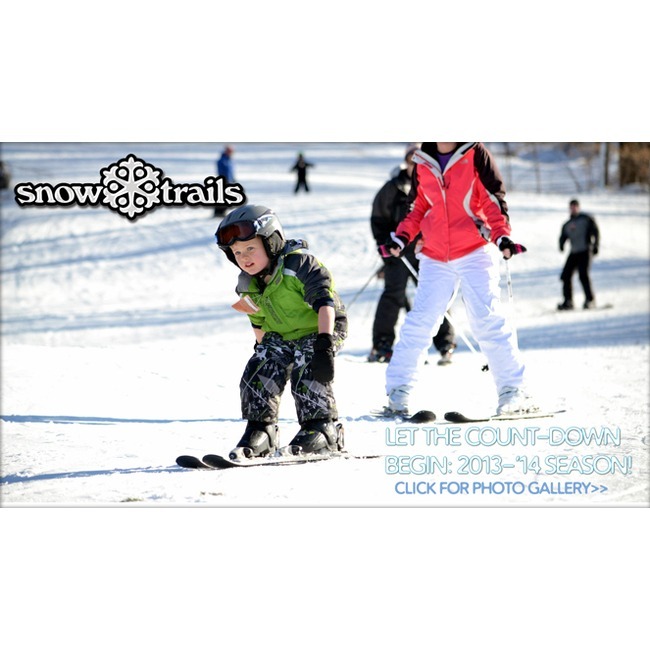 Snow Trails is known for superior skiing conditions and for being open longer than other ski areas in the region.